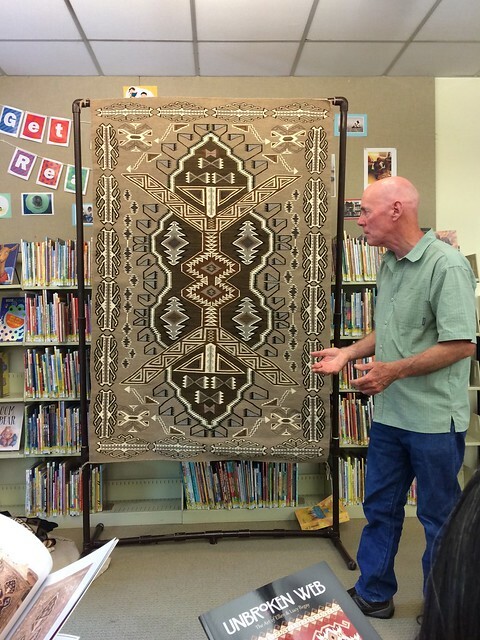 Recently, one of my local libraries hosted an afternoon talk by Gary Beaudoin, an Oregon collector of Navajo rugs and author of “Unbroken Web: The Art of Ellen & Lucy Begay” (find in a library). Through Beaudoin’s words and display of his personal collection, we entered the world of this mother and daughter, who weave traditional Navajo rugs. Only the red color is dyed, all the variations of browns and creams are the natural color of the Churro wool they get from their own flock. 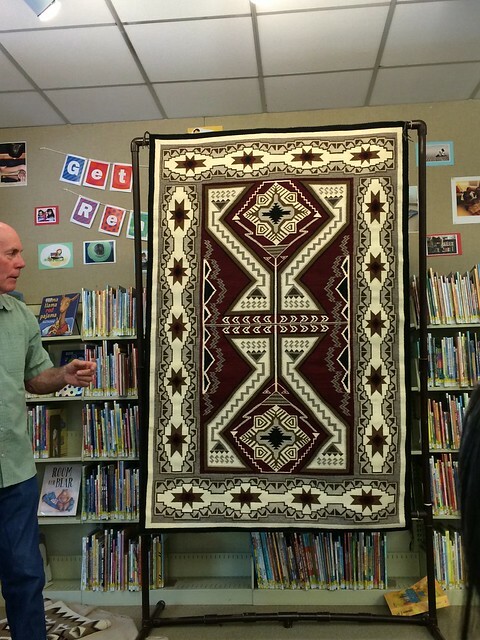 Rare treasures, each rug is unique and takes about one year to make. The designs incorporate traditional motifs as well as the artist’s interpretation of natural forms. Passed from generation to generation, weavers learn mostly by watching rather than direct instruction. These women use weave by hand rather than by using a shuttle. 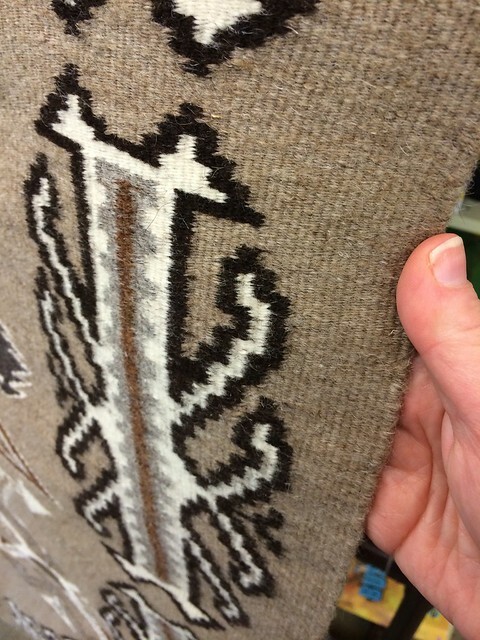 The artist uses her fingers to choose each strand of the warp to go under or over. Thanks for posting this. 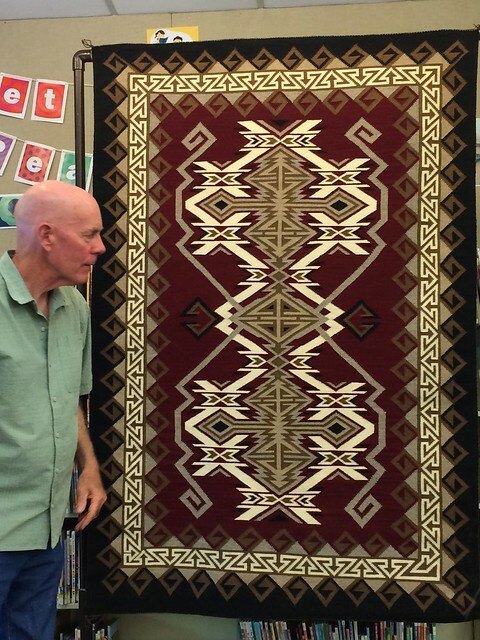 I get goosebumps thinking about the incredible weaving he had on display that day. AND their story! I was so glad you reminded me about this event. 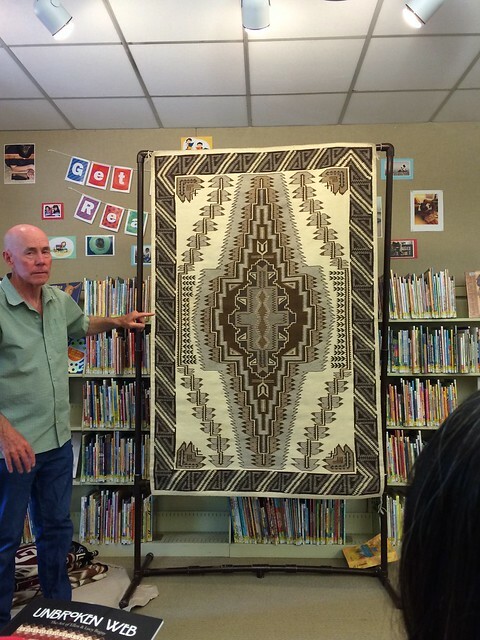 Like he said…there is nothing like this weaving in the world. 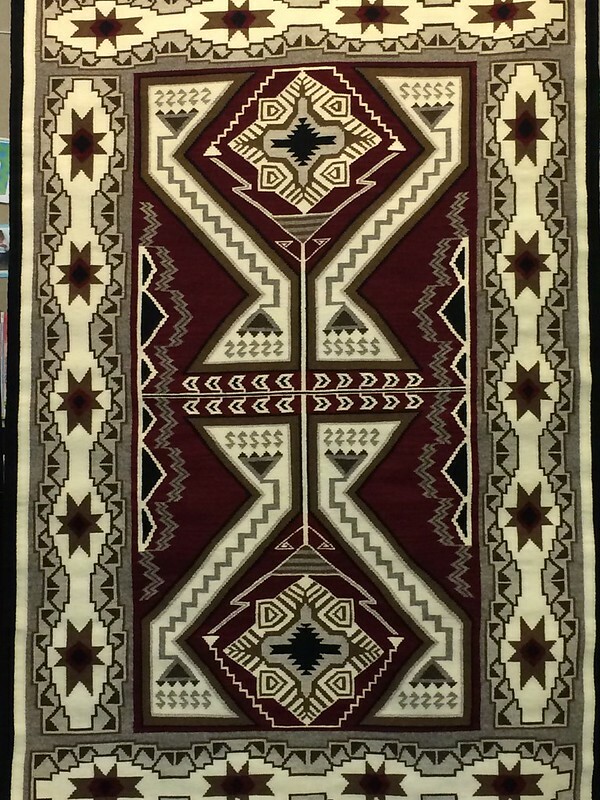 The true Navajo weavers don’t repeat their patterns unlike other well known hand woven rugs…everything is original…and amazing…and beautiful…and brilliant. oh wow, that is incredible skill, and look how detailed it is! that talk must have been utterly fascinating, and the video is so cool!